READ-IT researcher Dr Francesca Benatti with her colleague Dr Edmund King are co-running a seminar series on ‘Digital Books, Digital Readers’ in 2019. 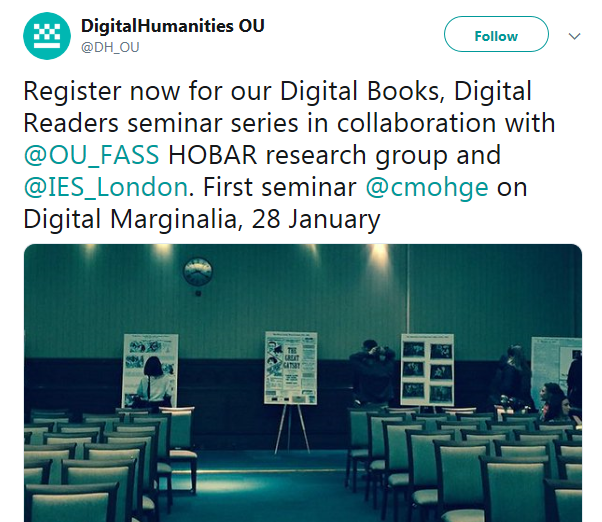 The first seminar is on 28 January 2019 (5.30pm) and the speaker is Dr Christopher Ohge (IES, University of London) who will be speaking on ‘Digital Marginalia’. 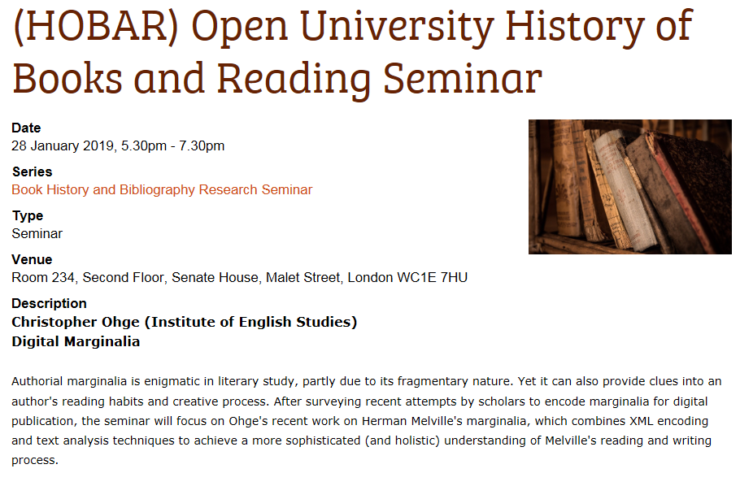 The seminar series is run jointly by two research collaborations at The Open University: Digital Humanities, and The History of Books and Reading (HOBAR). Details of the seminar can be found on the Institute of English Studies webpage. All seminars are free to the public and take place at the Institute of English Studies, Senate House, London.